Saksalainen risukka löi vastustajansa sokkotestissä. Grüner Veltliner, Riesling, Sauvignon Blanc ja Neuburger. Jo vuodesta 1848 viinin tekemisen taito on periytynyt sukupolvelta toiselle Moserin perheessä. 1950-luvulla Lenz Moser teki vallankumouksen viljelytekniikkaan kehittämällä High vine training - järjestelmänsä. 1986 hänen poikansa Sepp Moser otti hoitoonsa perheen vanhat viinitarhat. Isä keskittyi tekemään volyymiä ja poika keskittyi laatuun. Sepp Moserilla on tarhoja yhteensä 50 hehtaaria Rohrendorfin (Kremsin kaupungin vieressä) ja Apetlonin (Neusiedler Seen ja Unkarin rajan välissä) alueilla. Näillä alueilla tuotetaan laaja kirjo huipputason viinejä. Kremstalissa sijaitsevat ikivanhat viininviljelyalueet, joilla on keskitytty tuottamaan luonteikkaita valkoviinejä. Vanhoilla jyrkillä terasseilla viljeltiin viiniä jo vuonna 1284. Apetlonin korkeus merenpinnasta on 117 metriä, tämä on Itävallan matalin alue. Yli 2000 vuosittaisella aurinkotunnillaan se on myös Itävallan aurinkoisin piste. Nykyään tilaa hoitaa Sepp Moserin poika, Nikolaus Moser. Hän on jatkanut perheen perinteitä isänsä ideologian pohjalta, avainsanoja ovet korkea laatu ja viinien autenttisuus. The ancestral seat of the family is located 70 kilometres west of Vienna, in Rohrendorf, a small village in the Kremstal wine growing area, and just a stone´s throw from the Danube river. Rohrendorf is also known for its picturesque cellar street, which is the longest in Austria. This area is characterized by a permanent exchange of air masses with differing temperatures. While in the east, continental dry and hot air comes up the Danube valley, the cool air from the Waldviertel region to the north streams down the valley of the Krems river. As a result, there are repeated, significant drops in temperatures, especially at night – something that favours, above all, the fruitiness and freshness of the wines. The terraced vineyards of the Sepp Moser estate are composed of loess and conglomerate soils, mainly south-facing, and planted with white varietals. Grüner Veltliner, Riesling, Chardonnay and Sauvignon Blanc, and even the red Blauburgunder (Pinot noir), are cultivated on an area of 24 ha (60 acres). Gebling 8.5 ha (21 acres). The first documentation of the Gebling sites dates back to 1284 (!). It is assumed that the name originates either from the colour of the soil or from the yellow autumn leaves (as in Cote d’Or). The partly-overlapping terraces are up to 700 metres long and are south-facing. The soil consists of conglomerate rock, on which the vines Chardonnay, Grüner Veltliner, Riesling and Blauburgunder (Pinot noir) are cultivated at a slope inclination of up to 45%. The wines from Gebling are characterized by their particular minerality and expression – but despite their high maturity, they are never heavy. Schnabel 1.4 ha (4 acres). The Schnabel site is located east of Rohrendorf , and in fact, faces east as well. The upper layer of soil consists mainly of loess, while the subsoil is stony conglomerate. Grüner Veltliner and Sauvignon Blanc are cultivated here. The wines from the Schnabel show an extremely high maturity. Breiter Rain 2.5 ha (7 acres). The five terraces are exposed to the south and planted exclusively with Grüner Veltliner. The site is not too steep and consists of loess and conglomerate rock soils. Because Breiter Rain protrudes from the vineyard, there is resulting ventilation, and the grapes remain longer on the vine, healthy, and reach high concentrations. Grandfather Lenz Moser never wanted that his “private” Atrium house would be used as a place where one makes wines. He just wanted to live there and enjoy his days. Well, things went their own way: After Sepp Moser founded his own winery in 1987, the in-house cellar was adapted step by step to a wine-cellar. Starting with a few tanks, then a labelling machine, then a few oak barrels…. In 2000 there has been the biggest stage of expansion. The state-of-the-art press house was built, as well as the tank store and the modern barrel cellar. The Atrium house has now the capacity to process the grapes – which are solely harvested by hand – of over 50 hectares (120 acres) from the Kremstal and Neusiedlersee. Because of its vineyards in the two diverse regions, the Sepp Moser estate produces a wide range of wines every year - from fruity, animatingly charming white wines and full-bodied reds to expressive Beeren- and Trockenbeerenauslese wines. As expected, Niki Moser combines his family’s knowledge and tradition with the possibilities of modern technology and, particularly, with his philosophy of regional identity and a viniculture which stays close to nature. There is one main aim in the cellar: The quality of the grapes shall be brought with as little influence as possible to the bottle. The grapes in the Sepp Moser vineyards are harvested by hand, and are brought to the cellar of the Atrium House in Rohrendorf. Here, Niki Moser emphasises gentle vinification, and tries to interfere as little as possible with the process, so that each wine can develop its own individual style. The fermentation starts spontaneously, the maturing of the wine takes place on its own. The white wines are fermented and aged primarily in stainless steel tanks. The red wines are gently matured in oak casks. Wines of the Sepp Moser are to be found in the fine gastronomy and with fine wine merchants, all over the world. However, it all happens in Austria and so we welcome all wine-lovers to visit us in Rohrendorf to see, feel and taste for yourself. Koillis-Itävallassa sijaitseva osavaltio, jonka pääkaupunki on Sankt Pölten. Suomeksi alueen nimi on Ala-Itävalta. Itävallan viiniviljelmät sijaitsevat maan itäosassa ja 3/5 viljelmistä on Niederösterreichissa. 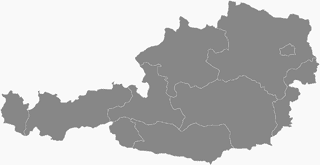 Ala-Itävallan viinialueita ovat Wachau, Kremstal, Kamptal, Traisental, Wagram, Weinviertel, Carnuntum ja Thermenregion. Viininviljely keskittyy Tonavan varrelle ja Grüner Veltliner -rypäle kattaa 44% viljelmistä. Rypäleitä ja tyylejä on kuitenkin laajasti erilaisia. Riesling on kotoisin Saksasta, jossa tehdään 70% Riesling-viineistä. Riesling viinit ovat hapokkaita, aromaattisia ja kukkaisia. Se voi kehittää myös petroolin aromeita. Riesling sopii kuiviin ja puolimakeisiin viineihin sekä kuohuviineihin. Se on Chardonnayn ja Sauvignon Blancin ohella tärkein valkoinen lajike.